Description. 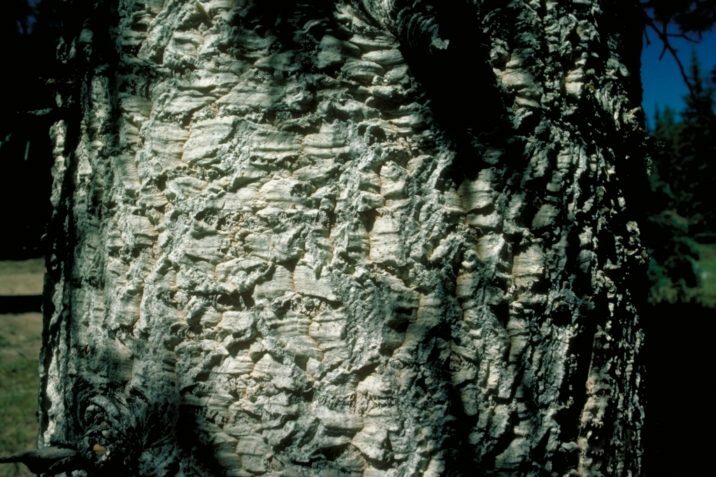 Has thickened, 'corky' bark that is white to grey and deeply furrowed, and has very glaucous foliage. In other respects it is like var. bifolia. Distribution. Var. 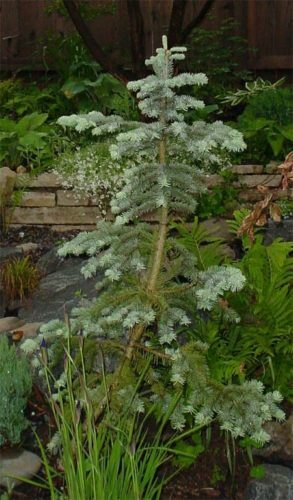 arizonica occurs in United States — Arizona, Colorado and New Mexico, typically at elevations of 7,700 to 11,000 feet (2,400 - 3,400 m) over sea level, where it is commonly seen growing with Picea engelmannii. Abies lasiocarpa var. arizonica Shows new sea green growth and white corky bark. 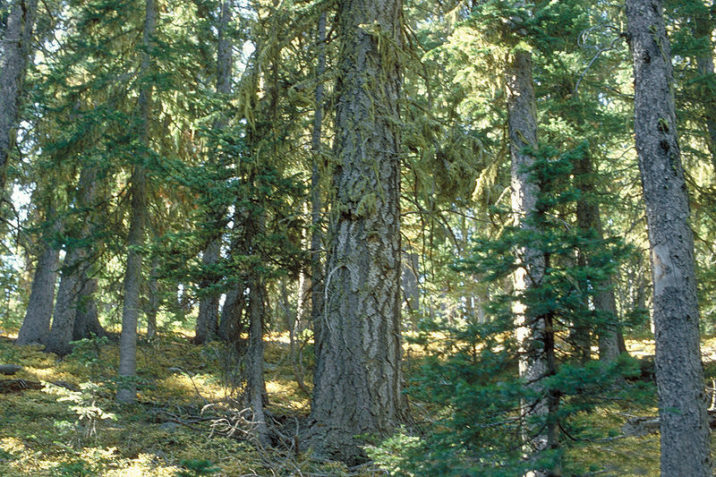 Abies lasiocarpa var. arizonica — a closeup of bark detail.